Howard Hersh is a US based composer who has received many awards for his work from such organizations as Meet the Composer, the American Symphony Orchestra League, the American Composers Forum, ASCAP, the Puffin Foundation, the Rex Foundation, and the Irvine Foundation. Howard’s works have been performed at venues that range from the Tanglewood Festival to Grace Cathedral in San Francisco, from European concert halls to the California Vietnam Veterans Memorial. 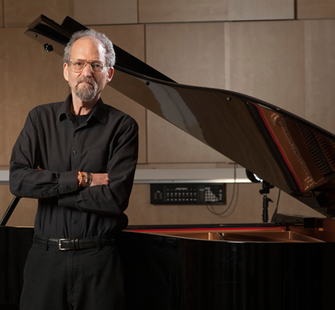 Together with his composition work, Howard has founded and directed many new music groups, including the San Francisco Conservatory New Music Ensemble, and served as Music Director of KPFA-FM. His latest CD of solo and ensemble works Dancing in the Pink House was released this year. Howard was awarded a Lucas Artists Fellowship in 2014.